Hayward dentist Dr. Gary Fong believes that everyone is entitled to a strong, healthy, and attractive smile, and never wants cost to be a deterrent to our patients. With this in mind, we are pleased to offer wide range of affordable services along with several financing options that can help you achieve your oral health and beauty goals. To schedule your free consultation and learn more about your financing options, please contact Gary G. Fong, DDS online or by calling our Hayward, California office at 510-582-8727 today. We work with several insurance companies, many of which cover even advanced general dental treatments. If you are interested in a treatment that is not covered by insurance, Dr. Fong accepts cash and checks, along with Visa, MasterCard, American Express, and Discover. If none of these options is suitable for your needs, we also work with CareCredit®, a reputable and trusted healthcare financing company. CareCredit offers a number of financing options including 0% APR for up to 24 months and low APR with fixed monthly payments for up to 60 months. You can apply for CareCredit online or pick up a form from our office during your free consultation with Hayward cosmetic dentist Dr. Gary Fong. If you would like to learn more about financing your cosmetic dentistry procedure in Hayward, please contact us today. 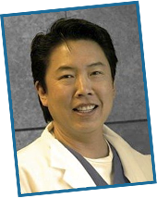 In addition to Hayward, Dr. Fong serves Castro Valley, San Leonardo, and surrounding areas of California.